Traveling on a budget? Traveling to Europe doesn’t have to be as expensive as you might expect it to be. In fact, there are a number of ways that you can save money without missing out. 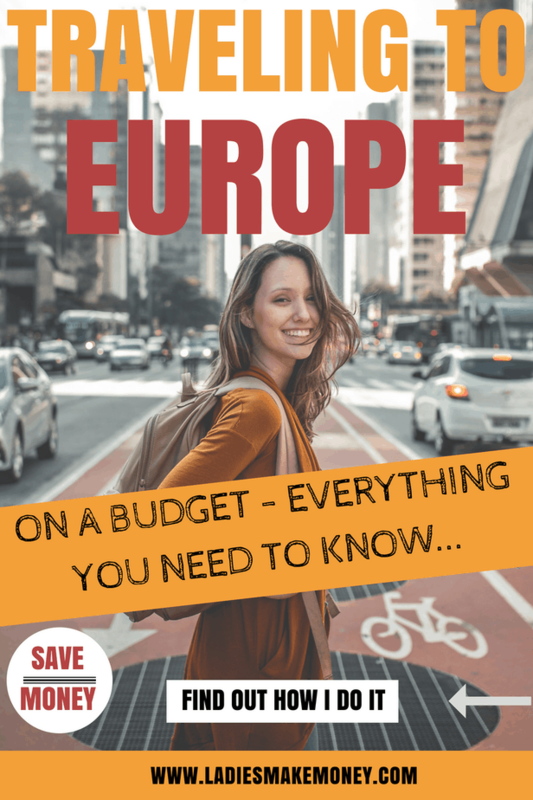 There are so many ways that you can save money while visiting Europe, we have put together the tips that have allowed us to visit over 21 countries in the past two years! 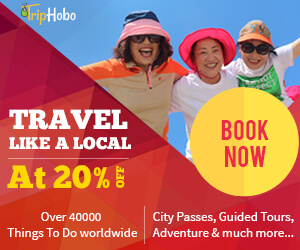 Using these you are able to experience the cities and towns you visit more like the locals do. Before we get started on tips about traveling on a budget, we would love for you to like our growing Facebook page right here! You can also follow along on Instagram right here! Europe is a beautiful country and sometimes traveling there can cost you quite a lot of money. But it doesn’t have to be that way. In fact, I have traveled to Paris on several occasions and I planning another trip this year. 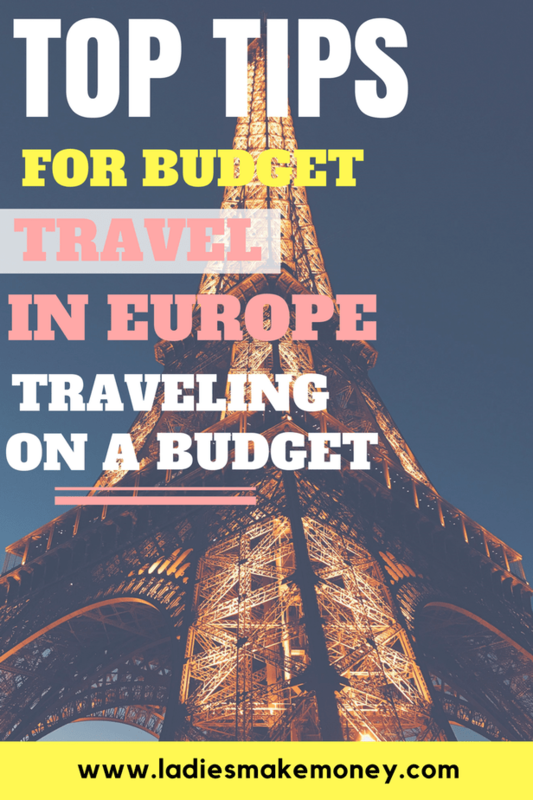 And I am here to tell you traveling on a budget in Europe is definitely possible. They are a few things you need to keep in mind if you are planning on a traveling on a budget this year. We did our best to outline amazing tips below. Be sure to follow them for a successful budget travel. You would be amazed at how much money you can save by simply taking the time to plan ahead. Traveling on a budget just requires a little a planning. Planning ahead will give you time to find free things to do in Europe and will ensure that you’ll get tickets for the popular attractions so you don’t have to worry about missing them. You will also save money when you plan ahead by being able to find cheaper plane tickets, bus tickets, and train tickets to get you from place to place while traveling. 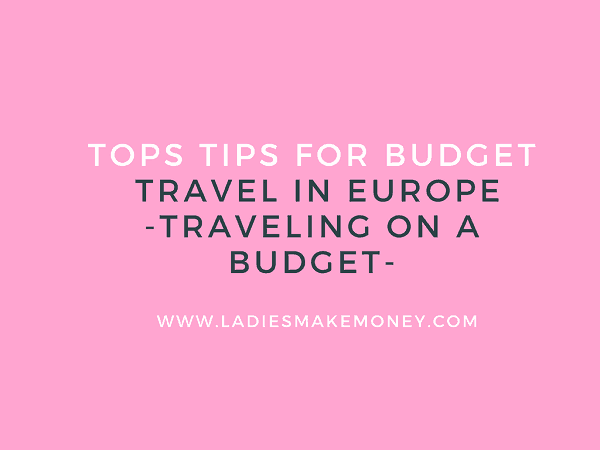 Breaking your budget down into days rather than simply having spending money for the whole trip will help you save money by avoiding spending more money than you should, especially early in the trip. If you start with all the money from your trip in your pocket, you’re much more likely to splurge early and end up with nothing by the end. Make sure you allow more money on certain days when you have bigger activities planned and aim to stay below budget every day so you can splurge at the end! This one tip is crucial if you plan on traveling on a budget. If you want an easy way to get free accommodations in luxurious homes, then house sitting is the way to go! By house sitting, you can find places to stay all over Europe for any amount of time, allowing you to find the perfect place for your perfect vacation. This will also help you save money because by buying most of your food at the grocery store, then cooking it in the kitchen so you don’t have to go out to eat for all of your meals. It can be complication process to get started, research first and see how to become a house sitter so you can reduce your cost and have the opportunity to stay in some luxury homes! Even when traveling on a budget, you can still find tasteful places to live. Think about the things you like to do when you’re at home, and then look for similar things to do where you’re visiting. This is the best way to save money when traveling on a budget. There are a number of activities, festivals, and events that happen in every European city and town that the locals enjoy which you can also take part in. Unless you love art or history, finding a pub to visit during happy hour will help you enjoy your European trip a lot more than wandering around a museum all day. Not all package deals will actually help you save money, so it’s important to see how much you would spend if you bought each thing separately, but there are also quite a few packages offered by various cities and companies that will help you save money. One of the best package deals that you can get is in the form of a city welcome card. These cards are available in a number of cities across Europe and will help you save money on transportation and a number of other restaurants and places in that city. Be sure to check it out especially if you are traveling on a budget. Brittnay is an Australian who lived in London for the past two years. She managed to squeeze in 21 trips to Europe & Africa at that time. She passionate about travel, health, and nutrition, you will find her healthy and delicious recipes on The Nut Butter Hub. I hope you enjoyed her tips on traveling on a budget. Tell us below. DON’T FORGET TO SHARE THE LOVE AND PIN THIS POST HERE. Generally speaking, the Eastern European countries are cheaper than the countries in Northern, Western or Central Europe. One way to get around cheaply is to buy an interrail train ticket. It allows you to use trains all over Europe with paying once. If you decide to book individual train ticket then you should book your train tickets well in advance. Prices go up as you get near the journey date. Coaches can also be a pretty cheap way to come around. German-based FlixBus has routes in 20 European countries and hundreds of cities, with prices starting as low 5 euros. If you like to b outside you can also get a bike. Europe is very bike friendly, and you can save on the local transport costs. Stay at hostels – these can be found all over Europe and rates are often as low as €10-15 a night. This is much safer than ‘couch sharing’ etc.